An active diver for 20 years, the water is Scott’s office, playground, and sanctuary. He travels the Northeast US as a regional sales manager and takes on a balanced schedule of exploration, fun, and instructional dives. Scott not only brings premium equipment to dive shops, but also provides quality dive education at the technical diver, instructor, and technician levels. After years of open circuit instruction, he made the transition to CCR and now teaches on the SubGravity Defender and XCCR. 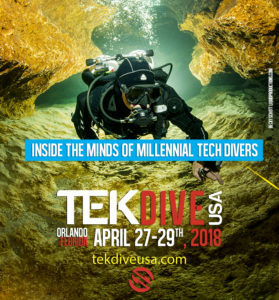 Through customized training that fits with the students’ diving environment and long-term goals, he aims to offer a holistic experience that creates competent, safe, and comfortable divers who remain active and passionate. 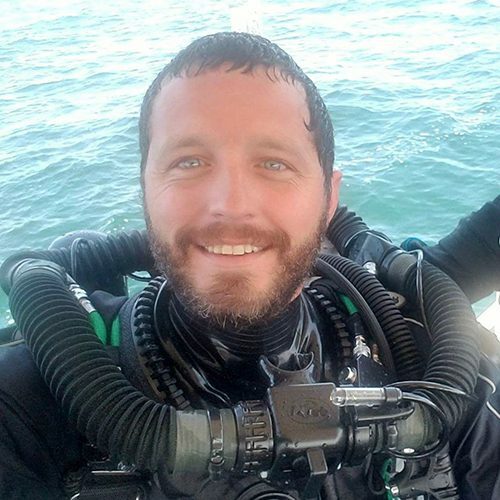 Scott’s own diving experience is as well-rounded as his teaching philosophy. From laying line in virgin caves to CCR diving in every state of the Northeast US, he has dove in a variety of underwater environments. Deep wrecks, mines, sumps, and shore dives are all in his log book, but his next dream dive is taking photos of historical wrecks in the St. Lawrence Seaway. When Scott’s not underwater, you can find him spending time with his two daughters or working on personal cave and sump exploration projects.